Scotland is on a complex and fast-paced journey of devolution. This brings new opportunities and risks for public finances and how they’re managed in a world of growing demand and challenges for public services. As the independent public spending watchdog, Audit Scotland’s role is to help the Auditor General and the Accounts Commission ensure that public funds are well spent and provide value for money. We are committed to supporting the Scottish Parliament and the public to understand how devolution is changing the landscape for public finances, and how well key bodies are preparing to take on the significant responsibility of managing Scotland’s new powers. This page sets out our past and future work in this important area. Around 235,000 non-UK EU nationals were living in Scotland - 4% of the population - in 2017. Estimated 150,000 non-UK EU nationals were employed in Scotland - 6% of the workforce - in 2017. Around 20,000 of these people are estimated to be employed in the public sector in Scotland - 3% of all public sector employees - in 2017. The Scottish Government estimates that non-UK EU nationals working in Scotland contribute around £4.4billion to Scottish GDP per year. We have produced a paper which looks at key audit issues for the Scottish public sector. The UK’s decision to leave the EU represents a major constitutional change for Scotland and will affect everyone in Scotland to some degree. EU withdrawal comes at the same time as a significant expansion of the Scottish Parliament's financial powers and continued pressure on public sector budgets. The paper presents what we think might be key issues for the bodies we audit, suggests questions which all public bodies should be asking themselves, and sets out our current plans for reflecting EU withdrawal in our audit work. 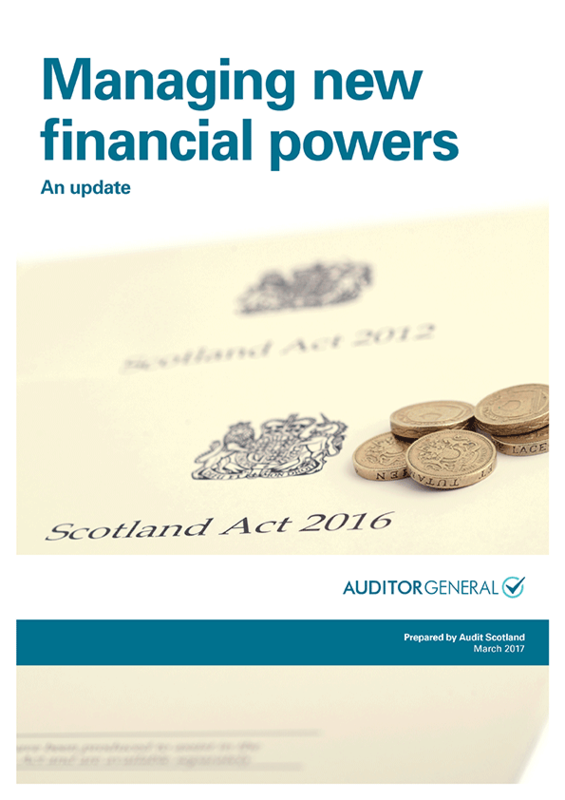 Our work on Scotland’s new financial powers is reported in a number of ways, including performance audits, our annual audits of the key bodies involved, and assurance reports on work by the National Audit Office (NAO) to examine arrangements for the Scottish Rate of Income Tax. The Auditor General for Scotland may also prepare a Section 22 report for the Parliament if specific concerns or issues are identified in annual audits. Auditor General Caroline Gardner regularly reports to the Parliament on our audit work on financial devolution, and how the Scottish Government is managing its budget. View our latest evidence sessions on these topics with the Public Audit and Post-legislative Scrutiny Committee, and the Finance and Constitution Committee. You can also read our correspondence to last session’s Devolution (Further Powers) Committee (PDF 115K). We regularly blog extra insights from our wide-ranging work across Scotland’s public sector. Mark Roberts, senior manager, looks at preparing for life outside the EU. Caroline Gardner, Auditor General for Scotland, writes about the opportunities and pitfalls that lie ahead of Scotland’s new financial powers, and audit director Mark Taylor looks at playing our part in the changing landscape of Scotland's public finances. We take part in a range of engagement activities to spread the word about our work on Scotland’s financial devolution and its impact. Auditor General Caroline Gardner spoke at the September 2016 conference Economic governance for an increasingly devolved Scotland. What checks? What balances, jointly organised by University of Strathclyde International Public Policy Institute, the David Hume Institute and the Royal Society of Edinburgh. You can download her presentation here (PPT 191K). 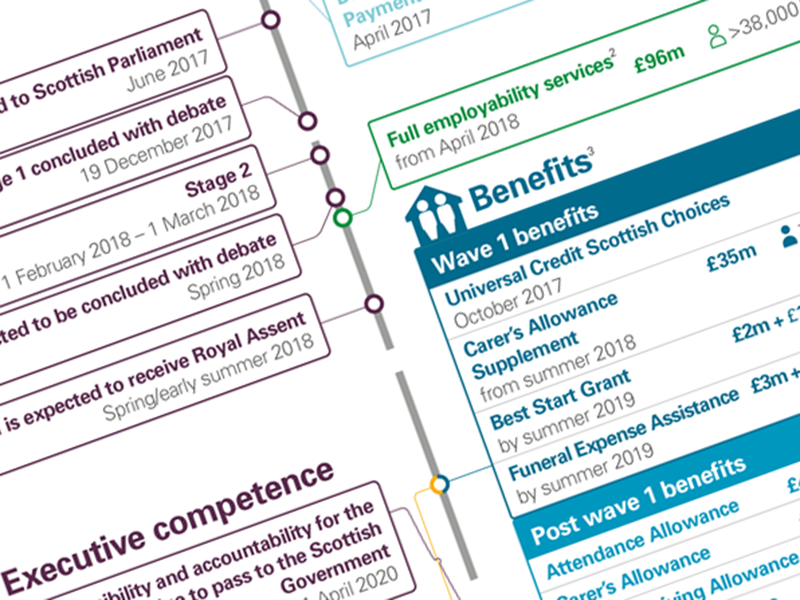 The Scottish Parliament's Devolution (Further Powers) Committee produced a Citizen's Guide to Scottish Devolution, which outlines the powers which will be devolved to the Parliament over the next years. 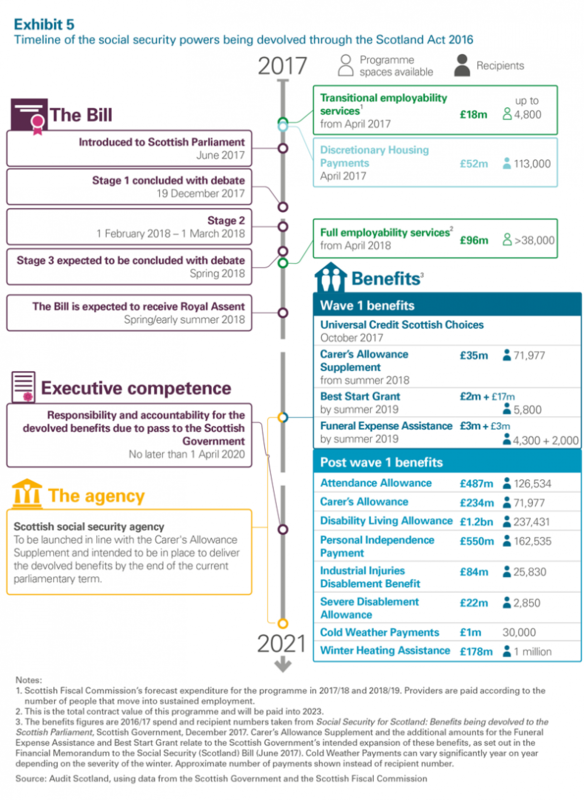 The Scottish Parliament Information Centre (SPICe) has also produced a number of research briefings and fact sheets on the Scottish Government budget.